This new Charlesfort condominium is the epitome of urban luxury, and the inspiration behind the start of my long, and no doubt fruitful, blogging career. Here is to hoping. The first time I laid my eyes on this fabulous piece of architecture was during my trip to renew my license plate stickers at City Hall (let this be a reminder to some of you! ), as it is located directly across the street. I’m not going to lie – I felt a bit weak in the knees. Love at first sight?.. Yes. When I got back to the office and relayed my enthusiasm about this building to my Blue Panda Realty colleague, Max Damour, he informed me that he had just booked a tour of the building for his client! It was simply meant to be. A few days later, here we are. Walking up to the building, it feels like we have been transported to New York City – the tiered, orderly structure bears a strong resemblance to the Empire State Building. The Merit is not the first project by Charlesfort to be architecturally inspired by the Big Apple – Hudson Park towers on Kent Street have a fabulously similar effect. 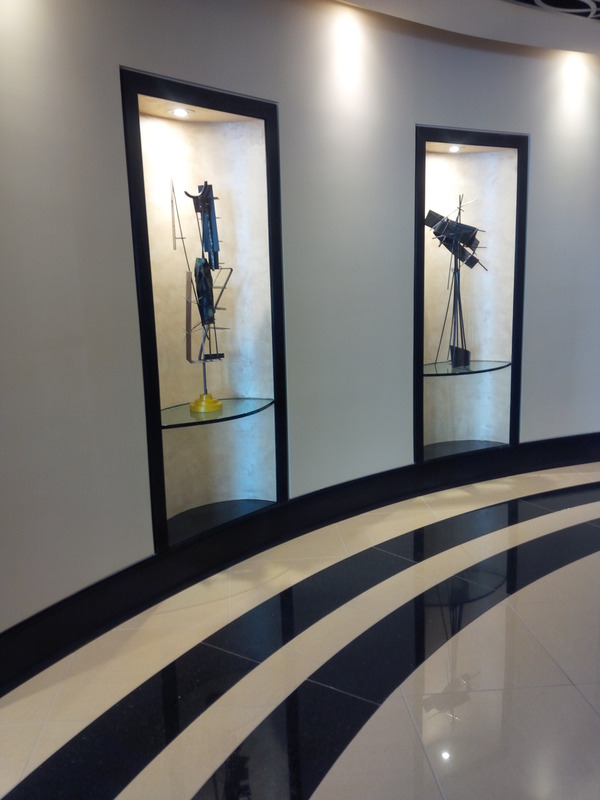 The superior attention to detail is noticeable before we even enter the building. The main entrance is majestic – clad in black granite, glass and chrome detailing, it is completed with custom Art Deco pavers. Are we about to join a classy Great Gatsby party? Wait, is that Leo behind those heavy glass doors? Almost! Greeting us at the door is David Casey, the sales representative for Charlesfort. He turned out to be an impressive tour guide, with an answer to every silly question we may have had. 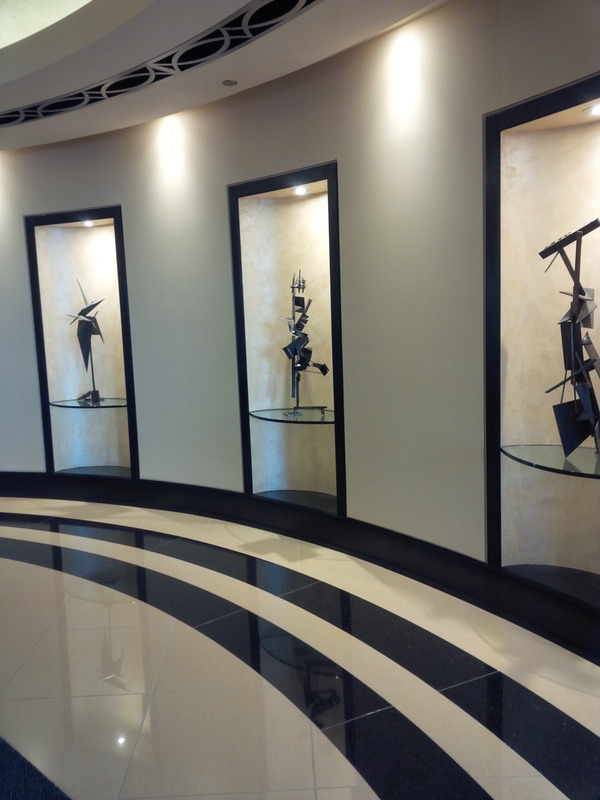 The spacious foyer is bordered by curved walls with built-in niches for one-of-a-kind sculptures. 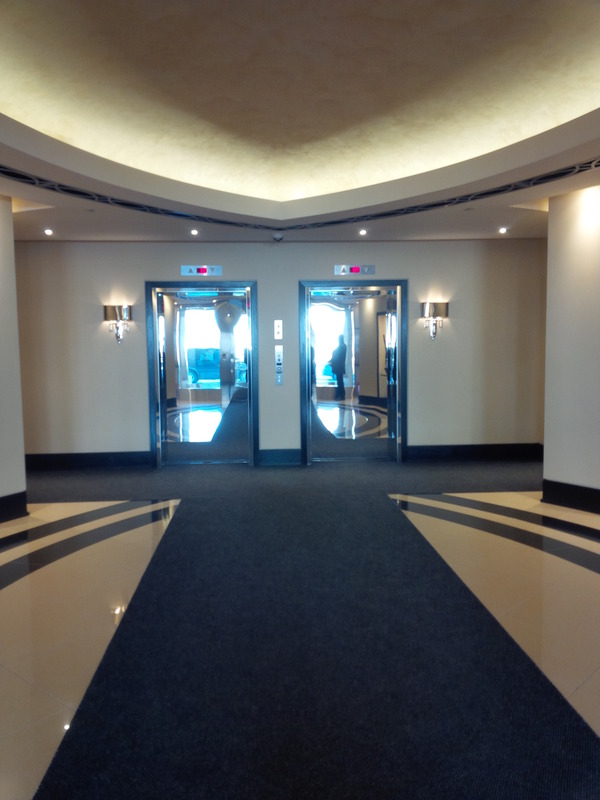 The Art Deco style is continued with specifically selected furniture, and the black granite and beige quartz tile flooring which leads to two elevators with mirror-finish stainless steel doors. The Merit is a 22-storey building, containing a total of 74 units, which range in size from 700 to 2,148 square feet. During our tour we saw three different flooplans: The Fraser, The Laughton and The Neil. At the time of our visit there were 13 suites left for sale by the builder, out of which we visited six, starting at a cool $1,000,000 and up to $1,977,000. Fun fact – the floorplans at The Merit were named after former Lisgar Collegiate teachers. Each suite had one thing in common – simply phenomenal views! 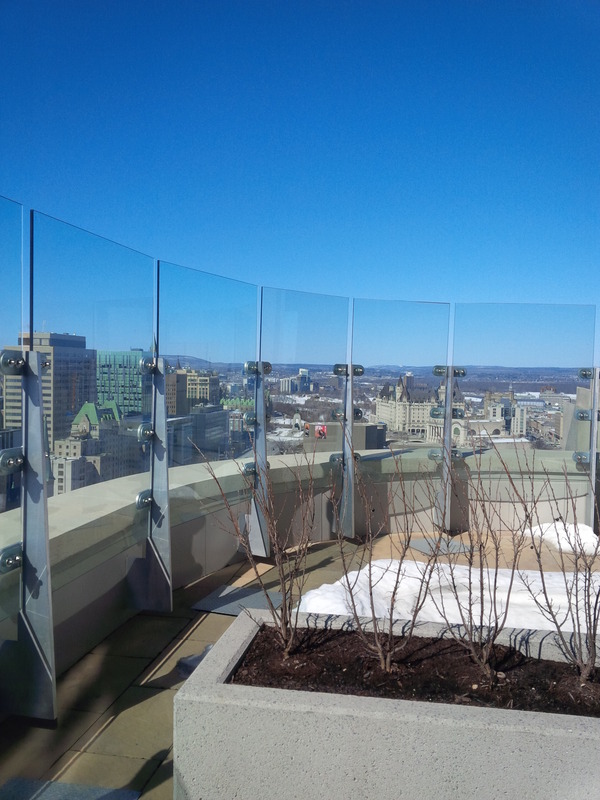 Due to its premier location in the heart of Ottawa, many of our Capital’s landmarks could be spotted from the upper floors of the Merit. 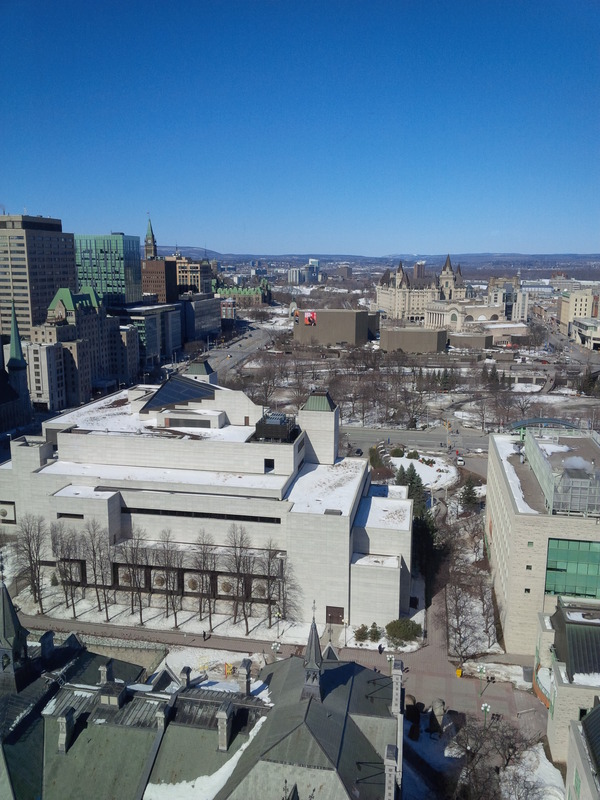 Oh look, it’s the Chateau Laurier, and over there is The Peace Tower, and how sweet is our new Congress Center! As a realtor, I could have played the “What’s that building?” game for hours, there was just so much to see. The interior finishes of the units once again show the high level of quality that Charlesfort is so well-known for. The combination of solid quartz or granite countertops in kitchen and bathrooms, and custom cabinets in stained cherry, maple, oak or birch, ensures that one’s expectations of elegance and class are met. No disappointments when it comes to the flooring choices either – the builder fully avoided carpets (If I were the queen of the world, I would ban wall-to-wall carpets altogether! ), instead opting for solid natural maple or oak hardwood. 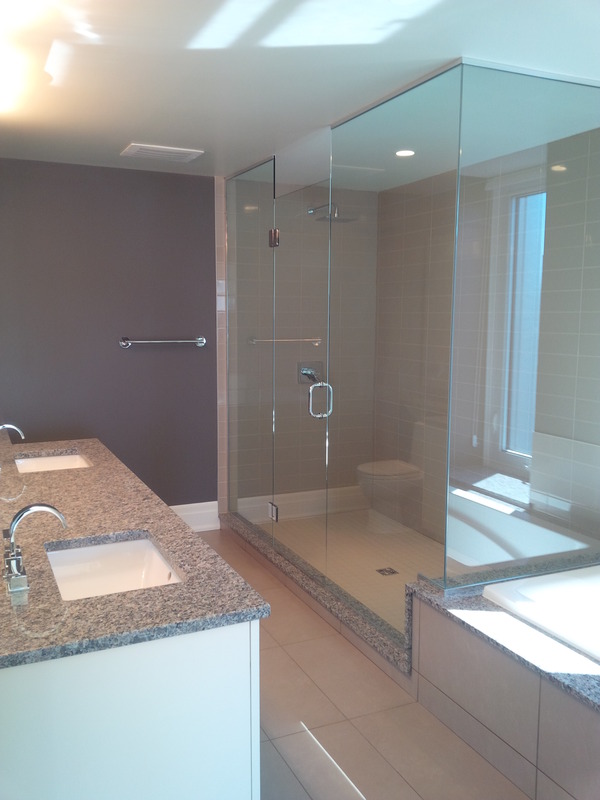 Bathrooms are finished with ceramic or granite floor tiles. From door handles to sink faucets and toilet paper holders, every suite seems to strictly have chrome-finish hardware. It’s a nice consistency. Our tour concluded with a visit to the spectacular rooftop terrace, located, naturally, on the 22nd floor. Now listen, I am no rooftop terrace snob, but I have seen a few of them in my lifetime. This one easily made it in my top three. The space is divided into two parts – the lounge area and the dining area. Both will be furnished accordingly once the weather allows, complete with natural gas BBQs. Somehow this is the only photo I took while on the terrace… I blame it on my inability to multitask when I get overly excited about something. In this case – the unreal views of our beautiful city! I’ll be honest with you, being critical is in my nature and I am not always easy to please. With that said, my tour of The Merit that day was as close to perfect as it could possibly get! 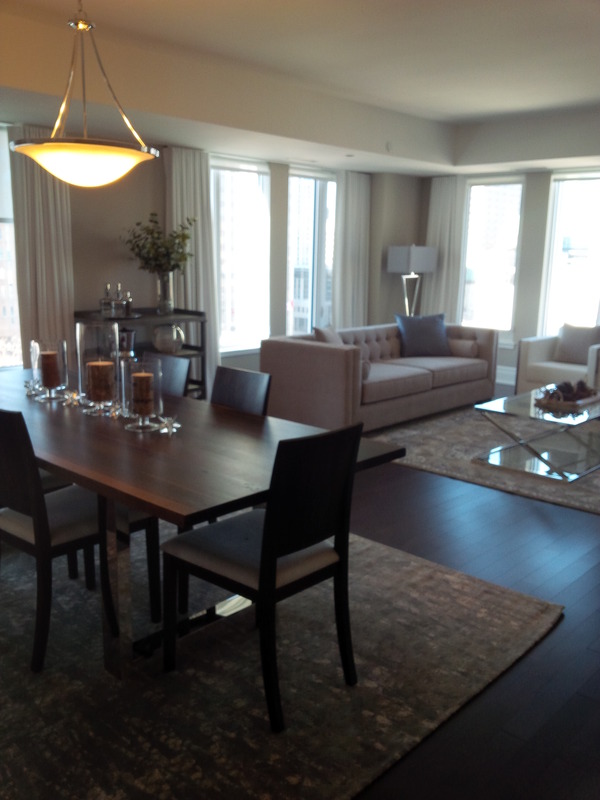 If you are on the market for a luxury condominium in the heart of Ottawa, I highly recommend visiting 108 Lisgar. You can find the current listings in the building HERE.